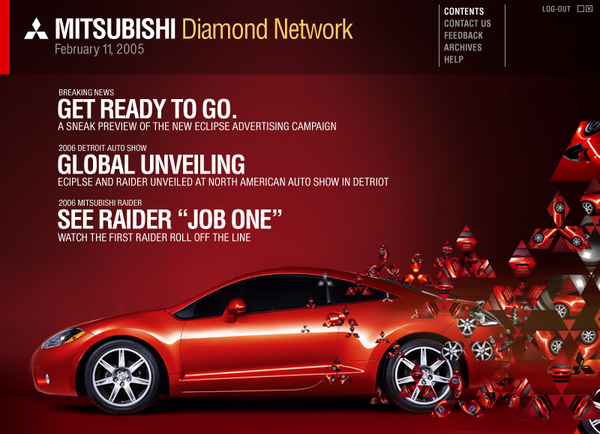 A new campaign to launch the re-designed Eclipse and capture qualified leads they could talk to through the launch and ultimately drive them in to a dealership. 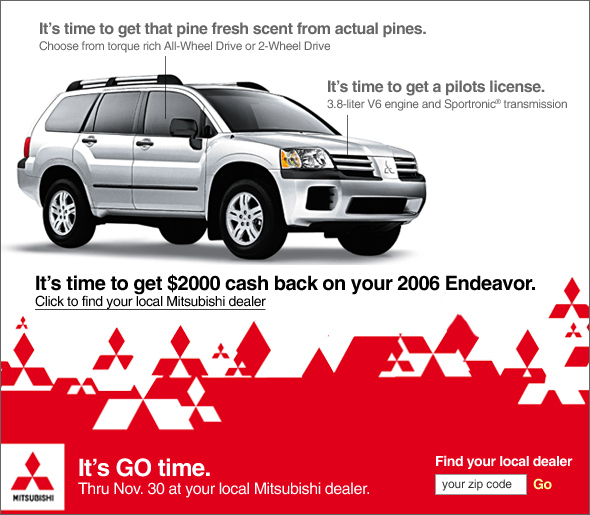 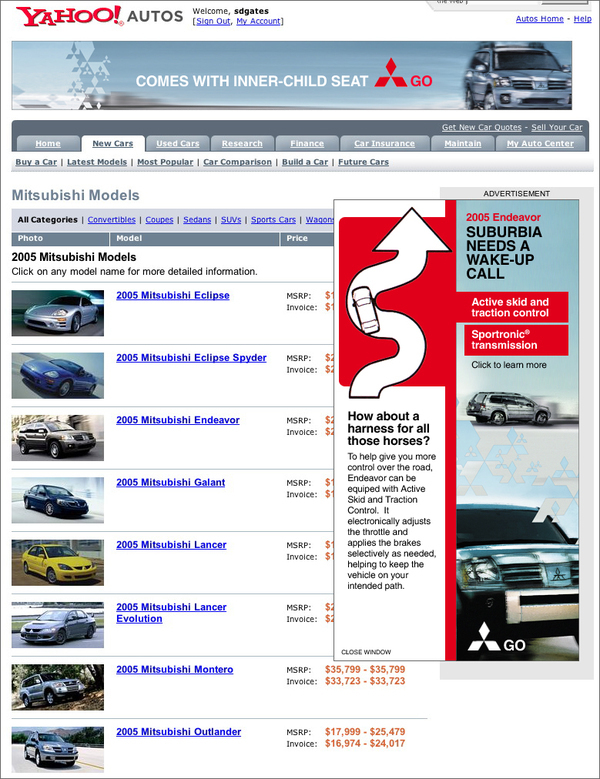 Mitsubishi Motors was faced with many challenges including declining sales, falling brand favorability and increased competitive pressure. 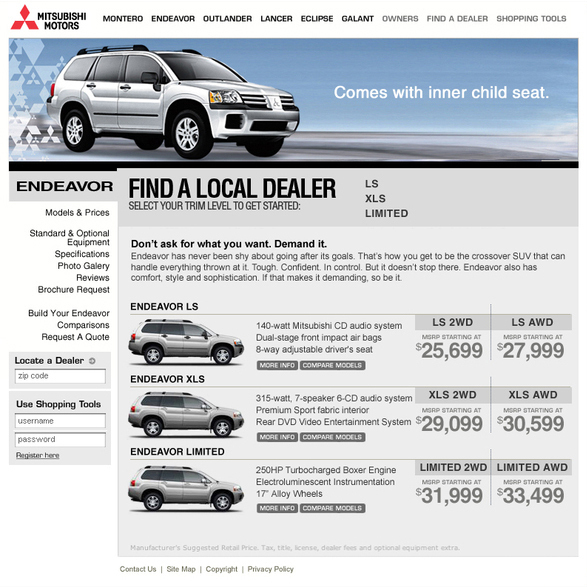 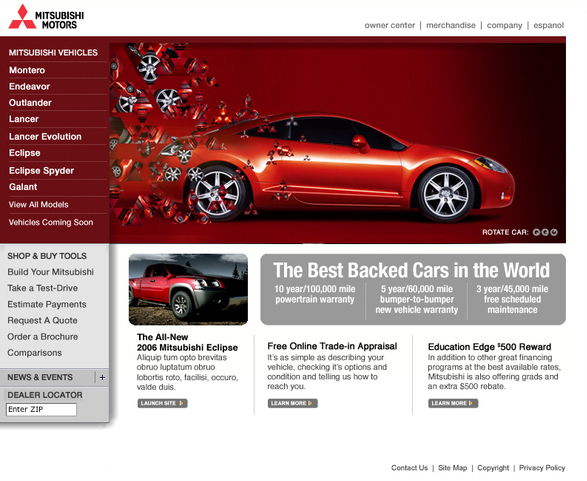 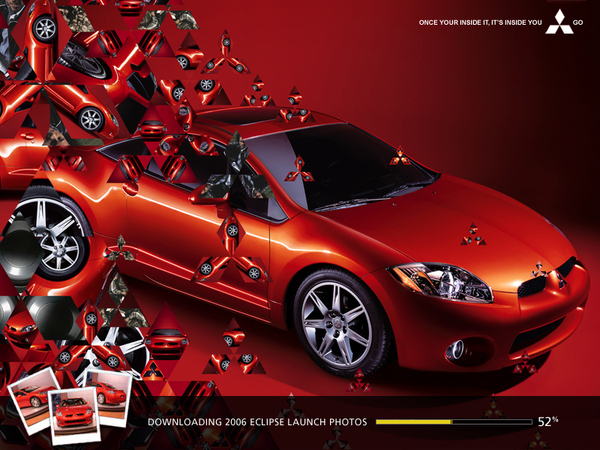 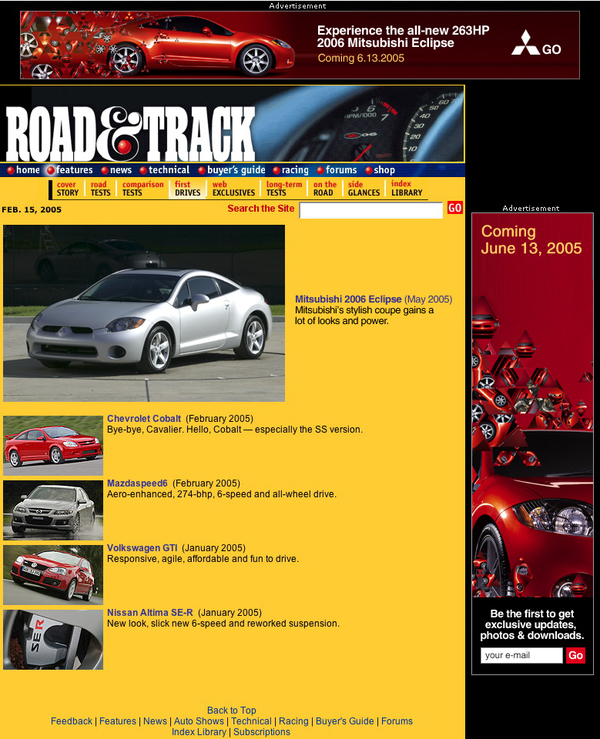 They needed a new campaign to launch the re-designed Eclipse and capture qualified leads they could talk to through the launch and ultimately drive them in to a dealership. 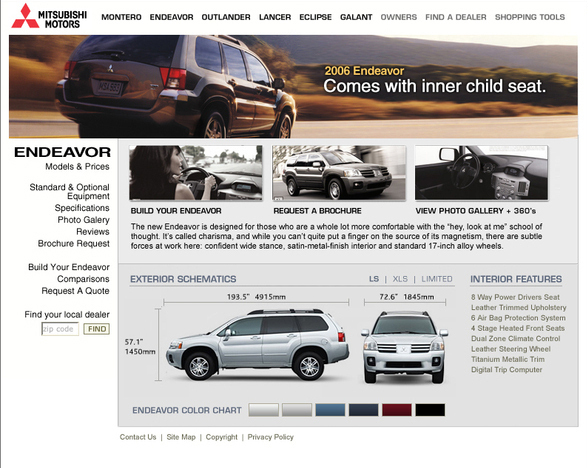 The online campaign had an additional goal to create an interactive experience with the consumer and engage them so additional time was spent with the brand, beyond viewing a print ad, 60-second television spot or online ad unit. 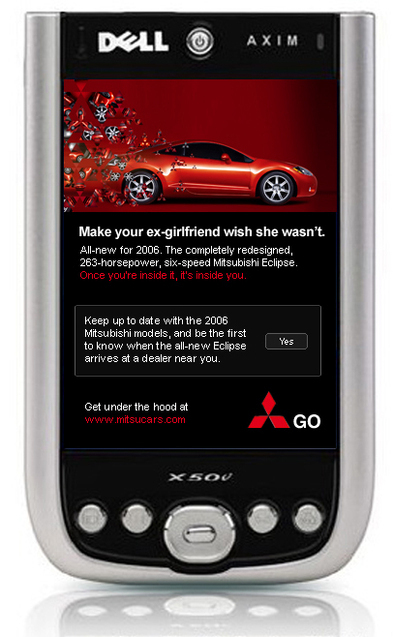 The work is fun and visual to get consumer to simply Go.